Bruce is the Managing Partner of the firm's Champaign office and past chair of the firm's statewide Workers' Compensation Practice. He concentrates his practice in the areas of workers' compensation, third-party defense of employers, and employment law. With extensive experience before the Illinois Workers' Compensation Commission, Bruce has defended employers in thousands of cases during the course of his career. As a result of his experience and success, his services are sought by self-insureds, insurance carriers, and TPAs. Bruce served as a technical advisor to the combined employers group in the negotiations which culminated in the 2005 revisions to the Illinois Workers' Compensation Act. He worked as a technical advisor to the Illinois Chamber of Commerce as well as with a number of Illinois legislators and state agencies in the process that resulted in the 2011 Amendments to the Illinois Workers' Compensation Act. In 2015, he was appointed to the Illinois Workers' Compensation Commission's Rules Review and Revisions Committee. Bruce is an Adjunct Professor of law at the University of Illinois College of Law where he has taught Workers' Compensation Law to upper-level students since 1998. Bruce has co-authored a book with Kevin Luther of the firm's Rockford office entitled Illinois Workers' Compensation Law, 2018-2019, which was published by Thomson Reuters. The book provides a comprehensive, up-to-date assessment of workers' compensation law in Illinois. Bruce is a frequent speaker on workers' compensation issues at bar association and industry-sponsored seminars. 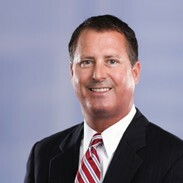 Bruce has served as Vice-Chair of the ABA Committee on Employment, Chair of the Illinois State Bar Association Section Council on Workers' Compensation, and currently serves on the Employment Law Committee of the Chicagoland Chamber of Commerce and the Illinois Chamber of Commerce Workers' Compensation Committee. He has been designated as one of the "Leading Lawyers" in Illinois as a result of a survey of Illinois attorneys conducted by the Chicago Daily Law Bulletin; another survey published by Chicago magazine named Bruce one of the "Best Lawyers in Illinois" for 2008. Bruce has spent his entire legal career with Heyl Royster beginning in 1982. Click here to view an interview with Mr. Bonds on defending high exposure and catastrophic Workers' Compensation cases. Named as one of the "50 Most Influential People In Workers' Compensation" by SEAK, Inc. in 2014. Named to the Illinois Super Lawyers list (2012-2019). The Super Lawyers selection process is based on peer recognition and professional achievement. Only five percent of the lawyers in each state earn this designation.